Recent Yellowstone Earthquakes “Special Attribute to End of Days”, Declares Rabbi - Breaking Israel News | Latest News. Biblical Perspective. A recent wave of hundreds of small tremors centered around Yellowstone raise fears of the threat of a supervolcano in the heartland of America, one that seismologists say is set to hit sooner rather than later. Several rabbis explain that this terrifying prediction may not be as terrifying as scientists think, since it is, after all, a prophesied stage in the Messianic process. Yellowstone Park attracts thousands of tourists who come to witness God’s creation, but the enormous crater, in all its beauty, is not only testimony to His creative majesty but to His destructive anger as well. Unlike the Grand Canyon, the product of 17 million years of patient aquatic erosion, the centerpiece of Yellowstone Park is a 40-mile wide caldera crater, the result of a sudden cataclysmic geologic explosion 630,000 years ago. Recent seismic activity suggest this tranquil natural refuge may be ready to revert to its violent past. Exactly one year ago, Yellowstone rumbled in its sleep, with three quakes ranging from 3.7 to 4.3 magnitude on the Richter scale. Last week Yellowstone rumbled again, but with greater intensity. On Thursday evening, a 4.5 magnitude earthquake shook the region, the epicenter approximately eight miles northeast of Western Yellowstone in Montana. Rabbi Yosef Berger, the rabbi of King David’s Tomb on Mount Zion, noted that disasters, natural and manmade, seem to be striking faster and harder than in previous generations. Rabbi Berger suggested a simple faith-based solution to cope with the threat. “By strengthening the belief in all of creation being one, and bringing our will in line with the will of the Creator, we can bring nature back in line with the will of the one,” Rabbi Berger said. “This is especially true in our generation, in the moments before the final redemption,” said Rabbi Berger. 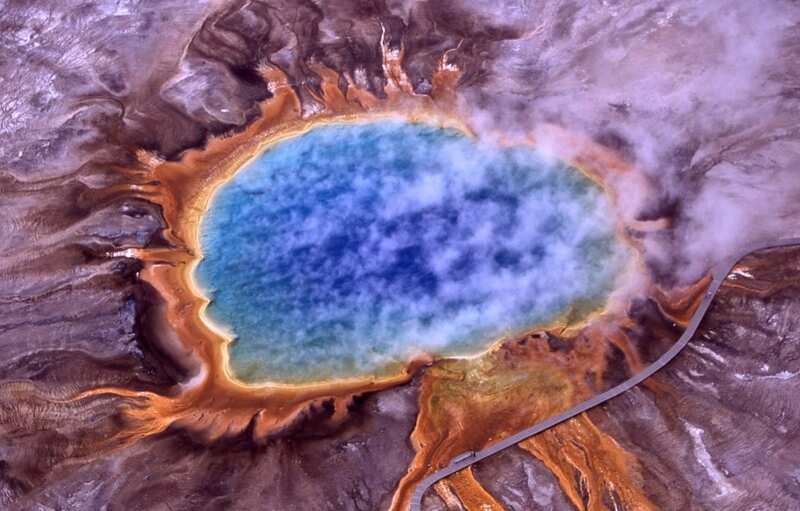 Yellowstone is listed as a geologic hotspot that could one day cause a global threatening disaster. The site has already seen three catastrophic eruptions, approximately 2.1 million, 1.3 million, and 640,000 years ago. 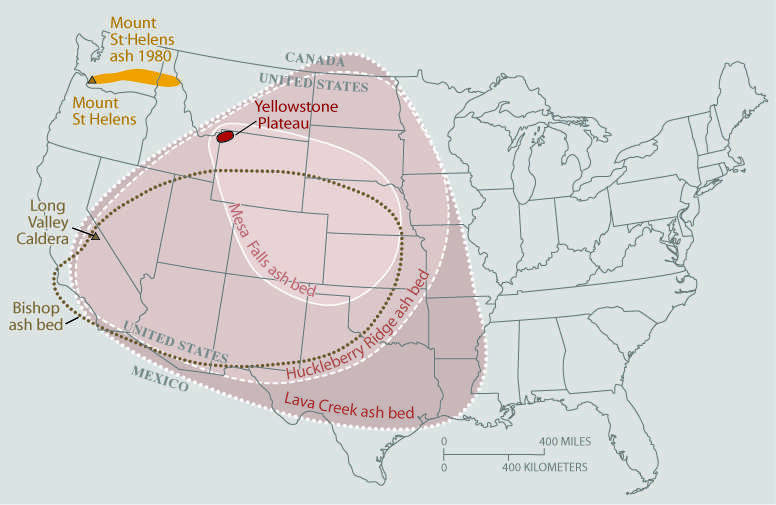 Experts estimate that a Yellowstone eruption today would kill 87,000 people immediately, covering the entire US and Southern Canada with a layer of ash, and perhaps even affect the climate around the world. Internationally renowned physicist Michio Kaku described the situation at Yellowstone as a “sleeping Godzilla that if it erupts at its maximum eruption…it could literally tear the guts out of the United States of America”, reducing the country to a total of 30 states, with a gaping hole where much of the Midwest used to be. Kaku figures that there is a ten percent chance of such a super-eruption taking place in the next century. Though the figure may seem low, when betting on global natural disaster beyond the influence of man and technology, the numbers are less certain.